Playing with Papercrafting: Round Up Time! Yee Haw! 1. Blendabilities are available NOW! About half of the colour assortments are available for you to purchase now and the rest will be available August 1! You are going to love them! I've heard many alcohol marker experts say that Blendabilities are better than anything else out there. Learn which colours are available here. There is a good way to be able to get ALL the markers right away and that is to become a demonstrator by purchasing the Stampin' Up! Starter Kit. Demonstrators are able to order all the sets right now. 2. Stampin' Up! is offering a DSP Special during July! During the month of July, if you buy three packages of the 12 x 12 Designer Series Paper, you get a fourth package totally free! Read more about this offer here. 3. 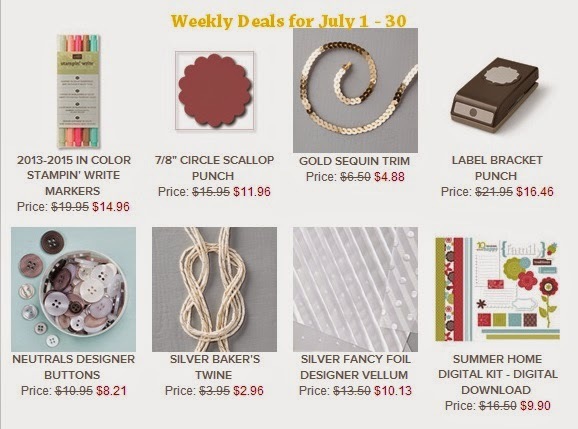 Weekly Deals Continue! Check here or my Facebook page every Tuesday morning for the Weekly Deals, where you can save from 25% to 40% off selected products. 4. 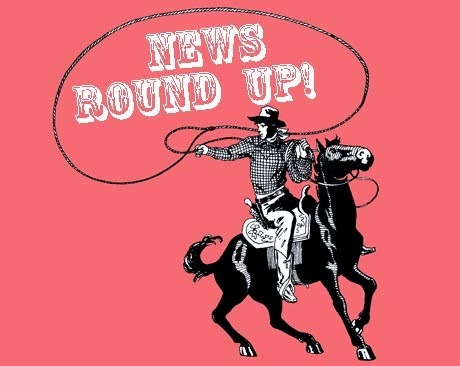 Announcing another round of Product Shares! If you missed out on my first round of product shares from the new 2014/15 Annual Catalogue, I'm offering another round now. Get a variety of new paper, ribbon and embellishments for less by sharing packages with other stampers. Check out what is being offered here. Deadline is Monday, July 21st. 5. 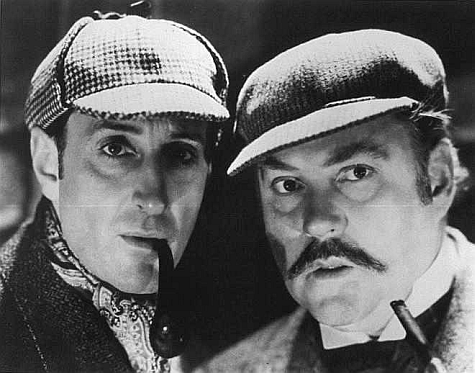 A New Kind of Mystery Hostess Contest! During July and August, my Stamp Club continues to run, but I have no hostesses for those two months. Normally, I use the Hostess Rewards myself, but this year, I have decided to run a contest for those Hostess Benefits. Everyone who books a party with me for a confirmed date before August 31, 2014 will have their name added to a draw for Hostess Rewards for one of the two summer months. To be eligible for the first drawing, you must call me by Friday, July 4th, and confirm a date for your party. You can hold your party at your place or mine and we can do the kind of projects you would like. Call me today at 250-768-7379 or email me at hcooper52@gmail.com! 6. 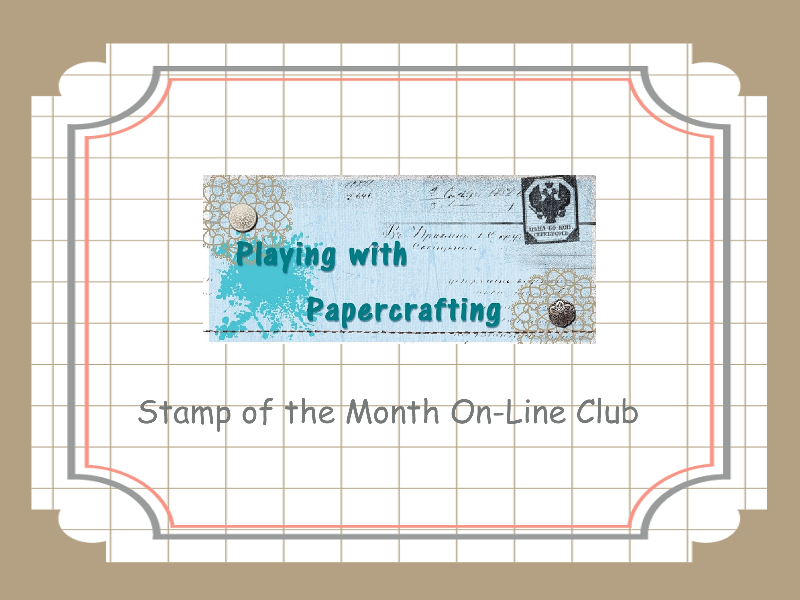 A Reminder About My On-Line Stamp of the Month Club! Each month I will mail you the clear Stamp Set that I have selected (or a substitute set), three completed cards using that set and three photo tutorials telling you step-by-step instructions for creating the three cards. See more information here. Deadline for July is Monday, July 7. 7. Don't forget about Project Life! Stampin' Up's full line of Project Life materials is ready for order now, and the Love Story Project Life Card Collection (135308), Love Story Project Life Accessory Pack (135310) and the Black Faux Leather 12 x 12 Project Life Album (135292), which were not supposed to be available until August, will be able to be ordered starting July 15! Check out more about Project Life here. Well, they say that 7 is the perfect number, and here I have 7 offers for you to take advantage of. If there is one or more that you would be interested in, just call me (250-768-7379) or email/message me and I will be more than happy to help you. Please read carefully for the details and deadlines.